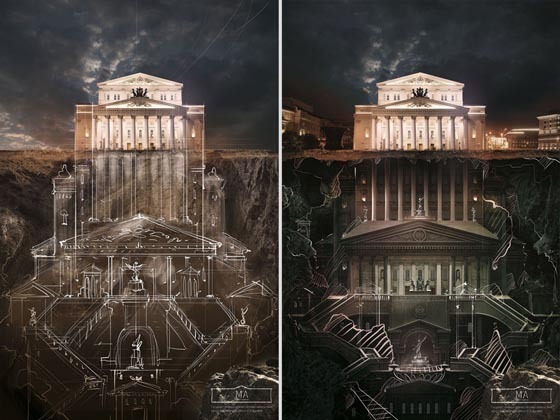 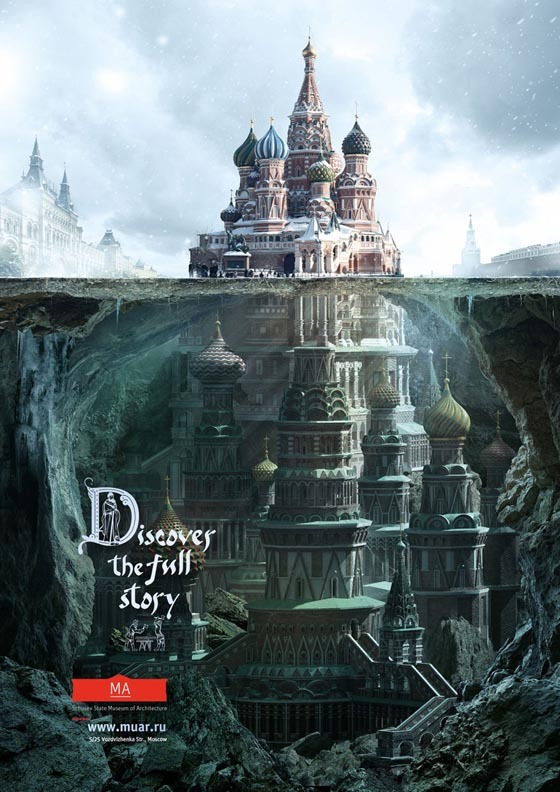 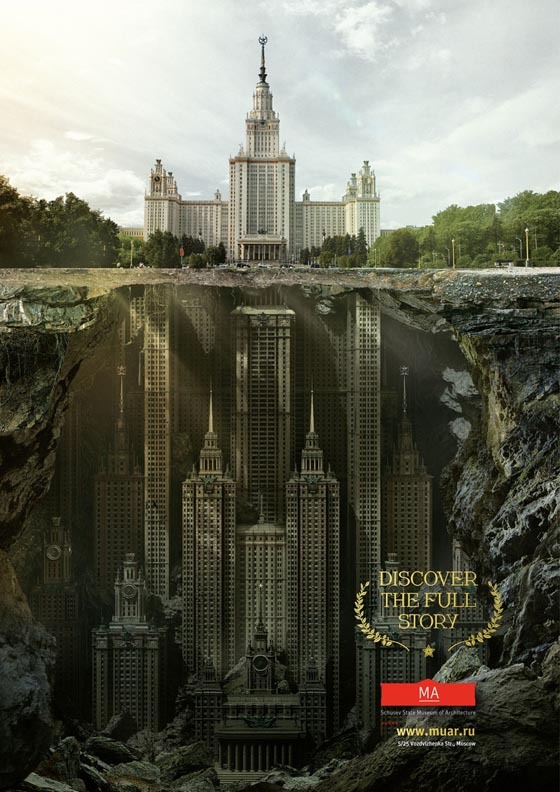 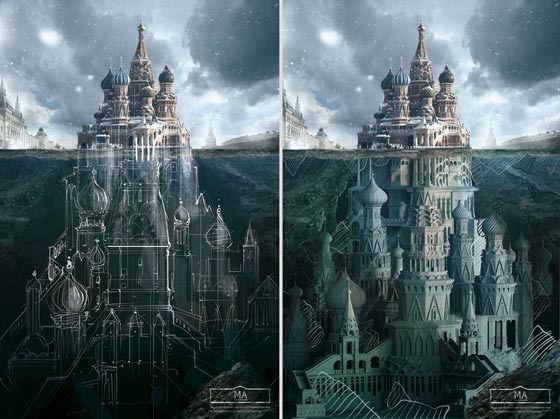 To draw attention of tourists on the history of Moscow, its architectural heritage and invited them to visit the Schusev State Museum of Architecture, Saatchi & Saatchi Russia created an incredibly beautiful campaign showing what’s below the famous Russian Landmarks: Saint Basil’s Cathedral, Lomonosov Moscow State University and Bolshoi Theater. 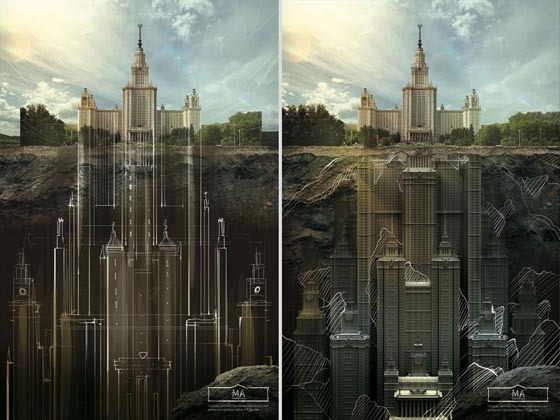 The posters imagine what three iconic Moscow buildings might look like if their above-ground structure represented only a tenth of their total volume. 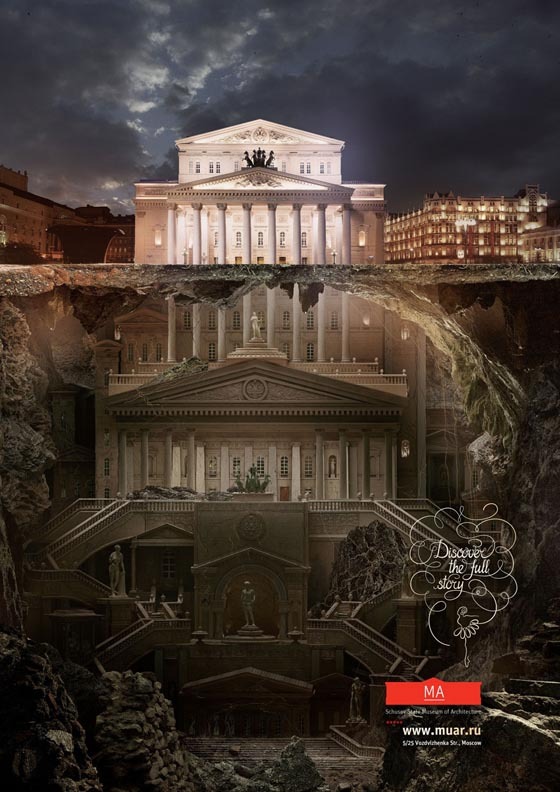 This campaign creatively demonstrates that behind the facade of each building hides a story, and our knowledge of it – this is just the tip of the iceberg.